Towerless Khulo-Tago Cabel Car opened in 1986. Cabin manufacturer: Tbilisi Aircraft Manufacturing. 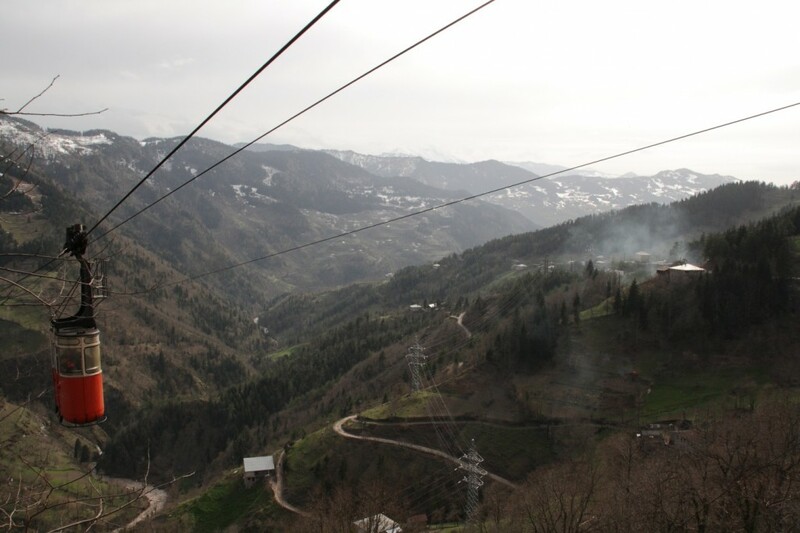 The Cable Car is the only transportation mean fro Tago village and connects them to Khulo region center, especially in winters when the road is completely jammed with snow. Tourist favourite Cable Car in Georgia. Two very beautiful videos with great folk music. Ce message a été modifié par Siachoquero - 14 novembre 2018 - 20:27 . 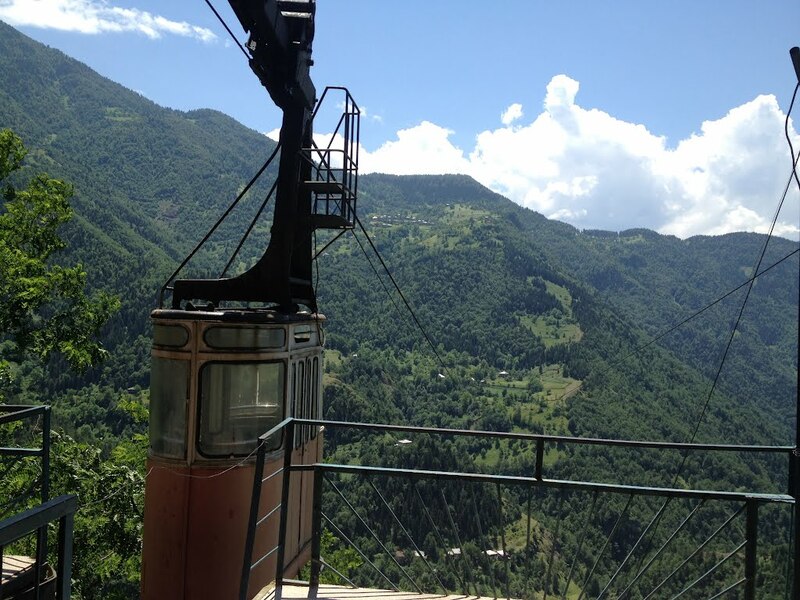 I will introduce the ropeways in Georgia and Soviet Union, designed by Georgian engineers since 1946 when the first passenger ropeway opened in Georgia. Abandoned and dismantled ones mostly. First here incomplete 98% list of TPH's in Soviet Union countries (outside Georgia) designed by Vakhtang Lejava with Sakgiproshakht Tbilisi Institute team. The longest TPH in Georgia and Soviet Union and probably by that time in the world. 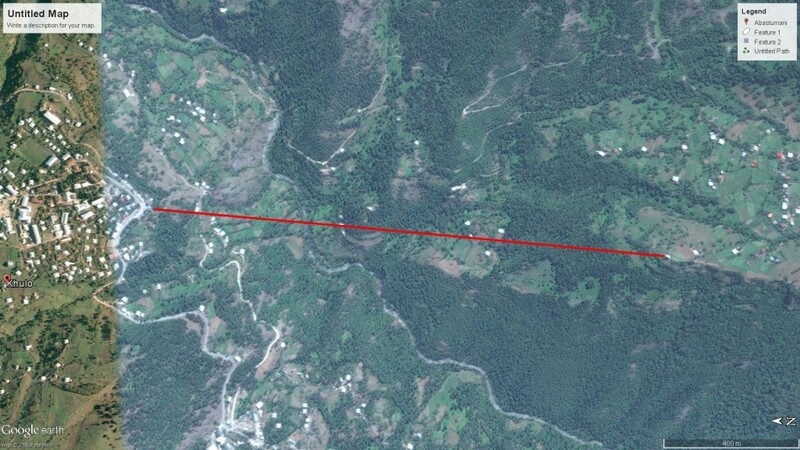 4500 meters long TPH connecting two neighbor towns Sighnaghi and Tsnori having aslo the middle station in Tsnori designed exactly in the middle so that both cabins could enter it simultaneously and stop. 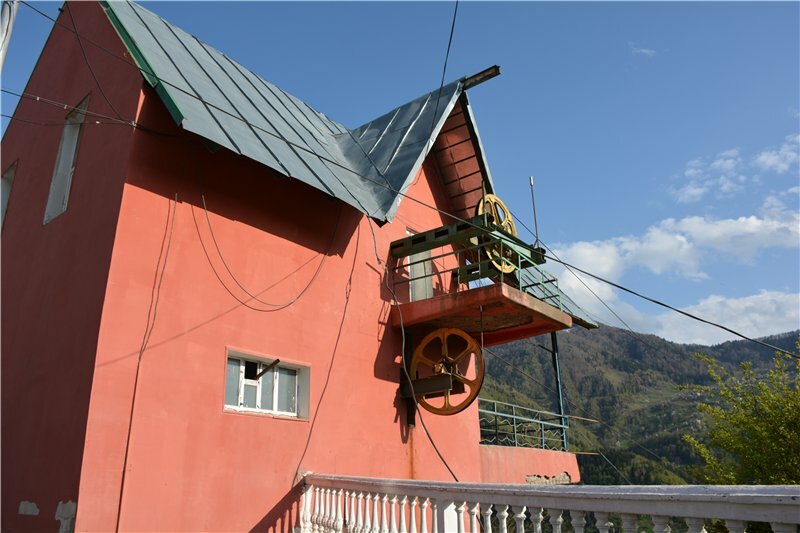 Designed in late 60th by Vakhtang Lejava a famous ropeway engineer but eventually put in service in 1981, November 1. The main point of this middle station was actually to combine two track cables because the track cable could not be all 4500 meters long. So Lejava decided to use this semi open concrete building to tension the cables. between the tension bulks there was a rail and the cabins would switch on the rails and if there was a passenger who wanted to leave the cabin or was someone waiting on this so called station cabins would stop. If not they would run through on a lower speed. So cabins would switch from track cable on rail then again on another cable fro upper section. This was all point of this MIDDLE STATION. Spanned over 6 supporting towers among lower and middle stations and over 4 towers between the middle and upper station. Cabins used, were standard Georgian oval cabins each for 25 passengers designed and produced in Tbilisi Aviation Factory. (First time this cabins were introduced in Tbilisi on Mtatsminda TPH). 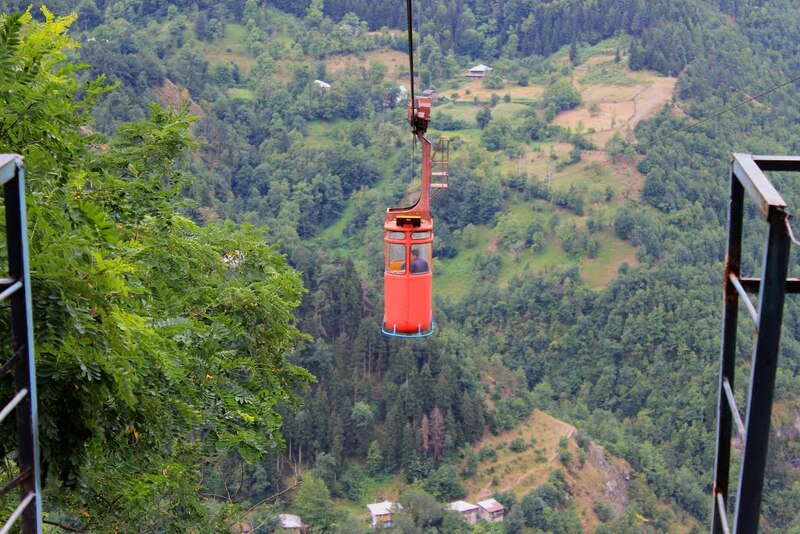 Plans to reintroduce the ropeway are still on. />/>/>/>/>/>/> it won't be anymore that unique design TPH but still. Ce message a été modifié par Siachoquero - 28 octobre 2018 - 22:27 . And now, from the end of 2010, the longest TPH in the world (in one section) is located in Armenia. Its length is nearly 5700m. Designed by Vakhtang Lejava and Shakhtgiprotrans team, built between 1984 and 1986. Opened on 6 June 1986. 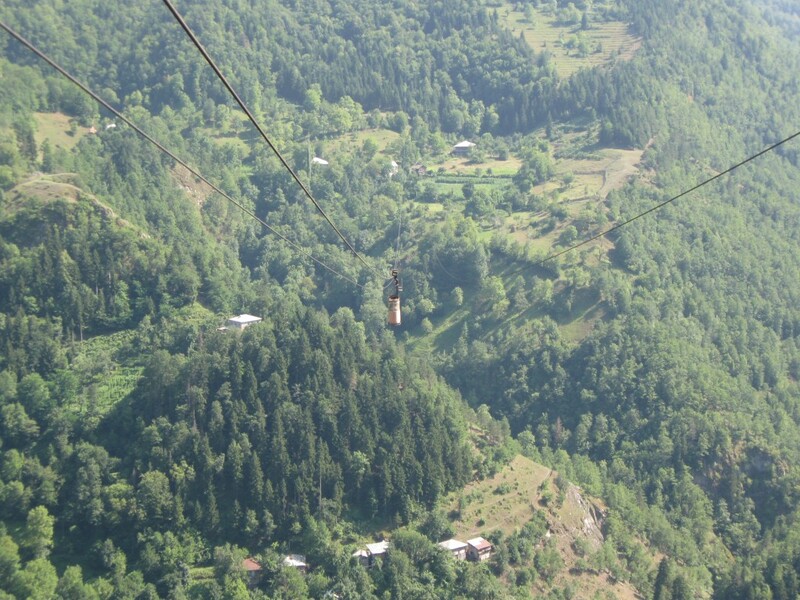 823 meters long aerial tramway used to connect Metro Station Samgori with the shortest way to Lower Vazisubani District at a speed of 5 m/s. Each cabin could carry up to 25 passengers and they were produced in Tbilisi Aviation Factory. Currently there are plans to demolish it and construct a new MGD with 3 or 4 station serving not only lower Vazisubani but also the Upper one. Designed by Vakhtang Lejava and Shakhtgiprotrans team, built between 1977 and 1978. Opened on 4 August 1978. 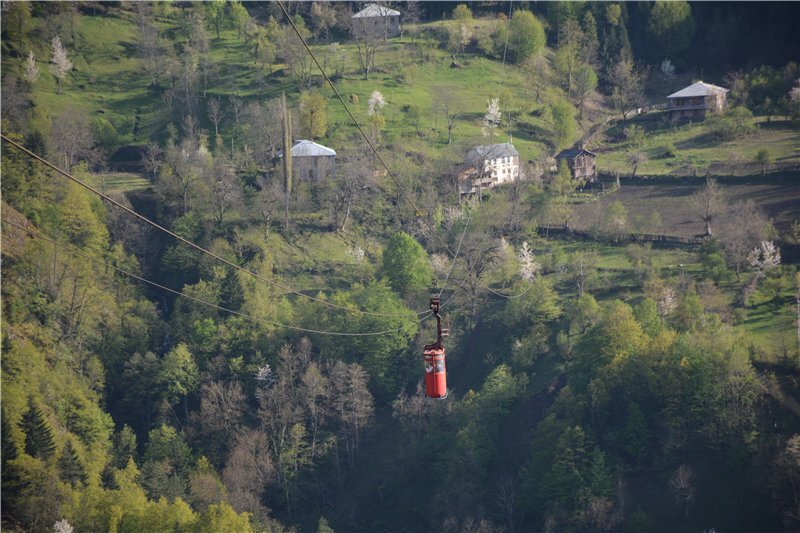 1112 meters long aerial tramway with 3 supporting towers used to connect Nutsubidze Street (Near Metro Delisi) with the shortest way to Oncology Clinic and Lisi Lake at a speed of 5 m/s. After abandonment some people started fire in the upper station, left track cable tore apart and left cabin fell on the ground near residential houses. Cables and cabins were then dismantled. This led high rise buildings to be built on the route of the ropeway. 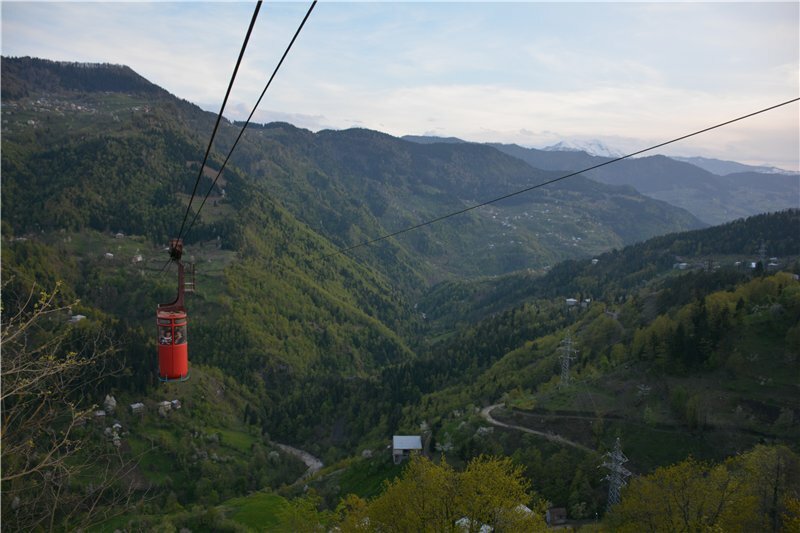 Supporting towers were cut off in 2011, currently the ropeway with it's original route can not be reopened. There are plans to build a new ropeway connecting Deilisi metro station with Lisi lake with different (better routing), but the problem is to find the place for the lower station. TPH-25 Urbain in Tbilisi. 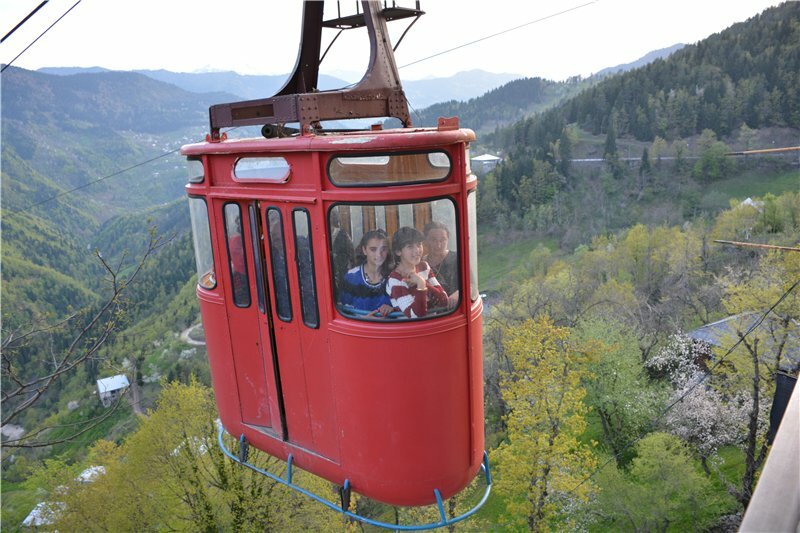 Second urban cable car in Tbilisi. Designed by Vakhtang Lejava and Shakhtgiprotrans team, built between 1960 and 1961. 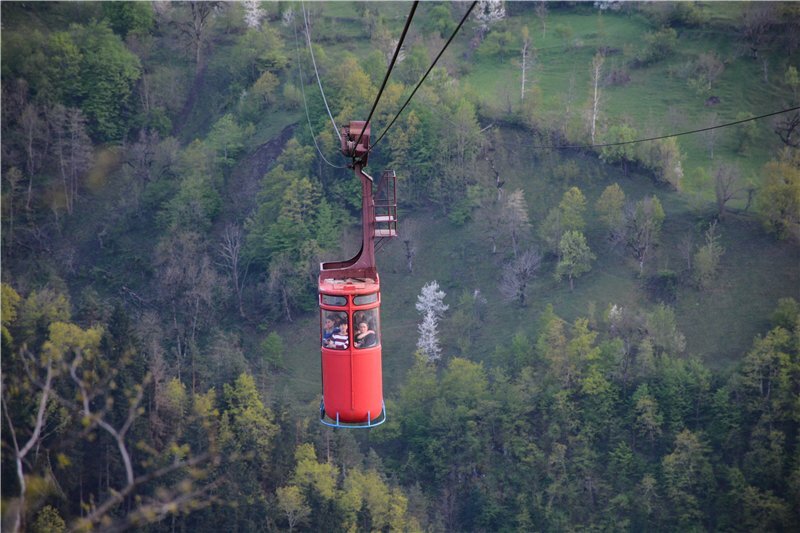 630 meters long aerial tramway used to connect Didube district with the shortest way to Giorgi Saakadze Square in Saburtalo District to Technical University of Tbilisi at a speed of 6 m/s. Each open type cabin could carry up to 25 passengers and they were produced in Tbilisi Aviation Factory. Cable car had no supporting towers. 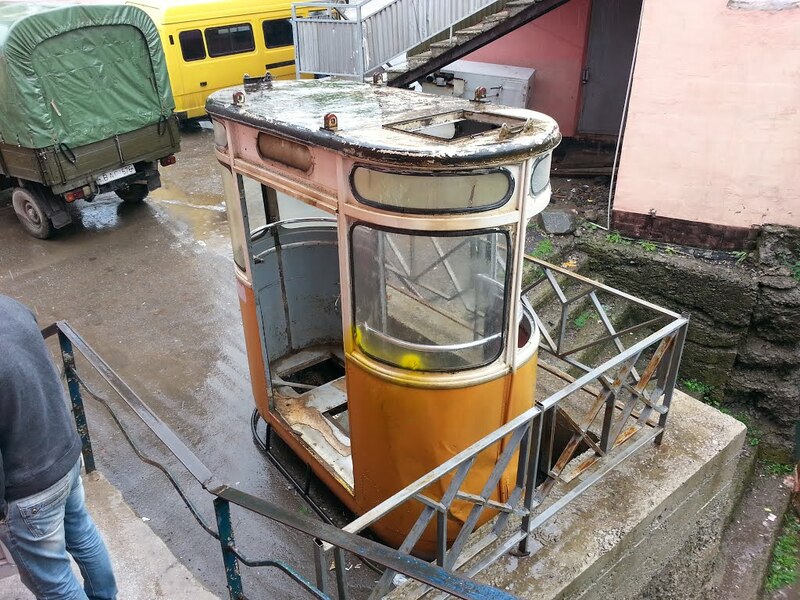 In 1980 cable car was abandoned because after building Vakhushti bridge on Mtkvari river and the embarkment roads to the bridge, the roads appeared to near to the cables. 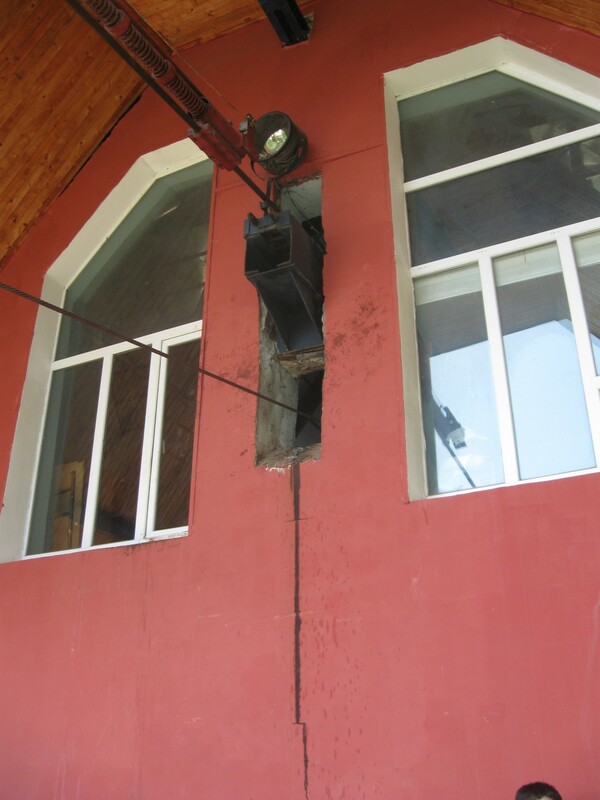 A new project of reconstruction was made in 1980 to risen the cables with 7 meters. 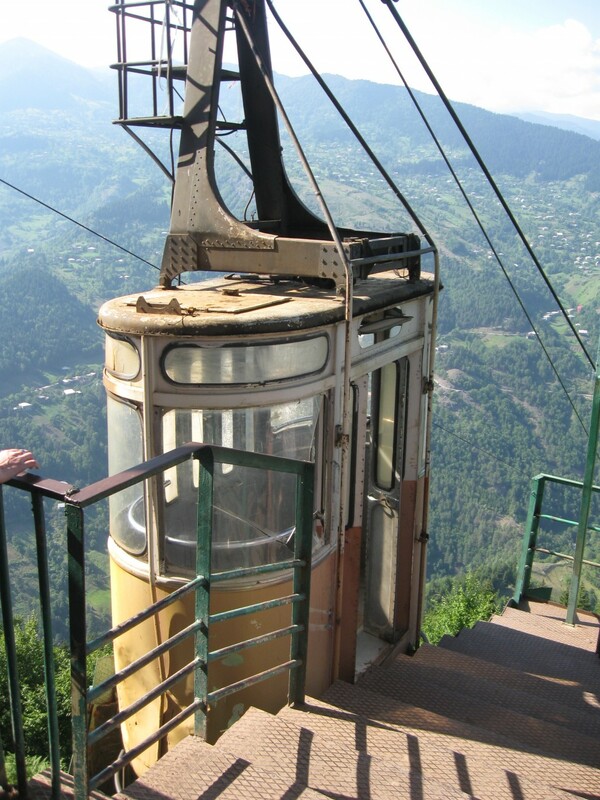 Eventually this was never came to reality and the cable car remaind abandoned. The stations remained almost intact till 2001 and then the upper station was redesigned as residential house and the lower one into stores and retails. Ce message a été modifié par Siachoquero - 22 février 2018 - 14:37 . Thank you for all of this information! I added some of the abandoned ropeways to my map and stumbled upon one more ropeway. 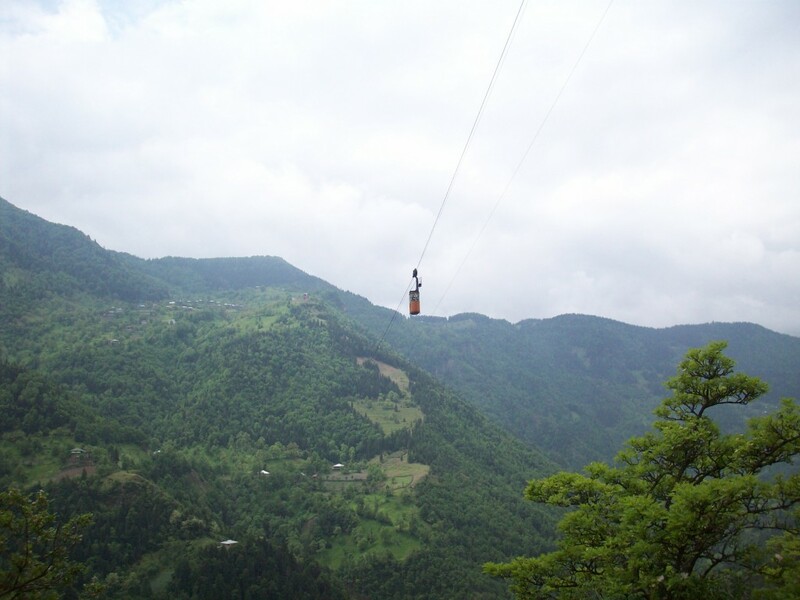 It is located in Gagra, Abkhazia. Merci de toutes ces informations! J'ai ajouté quelques-uns des ropeways abandonnés à ma carte et j'ai trébuché sur une autre ropeway. Il est situé à Gagra, en Abkhazie. I realize this list is not about Georgia! So nevermind! Je me rends compte que cette liste ne concerne pas la Géorgie! Alors peu importe! Ce message a été modifié par cwcwcw - 23 juin 2017 - 01:42 . This list is not about Georgia? Then what are three cables cars presented above? It is about Georgia and Ex Soviet Republics where Georgian Shakhtiprotrans was building TPH's. I look forward to the Georgia list! The previous comment was just premature. J'attends avec impatience la liste de la Géorgie! Le commentaire précédent était juste prématuré. Impressionnant tous ces téléphériques de transport en commun à Tbilissi ! Merci Siachoquero pour les infos. 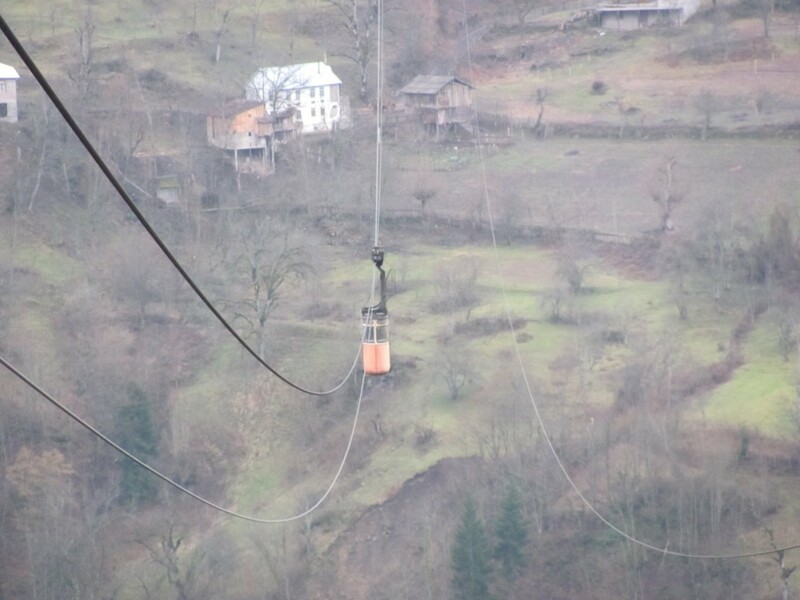 Very interesting too see ex-Soviet-designed ropeways. 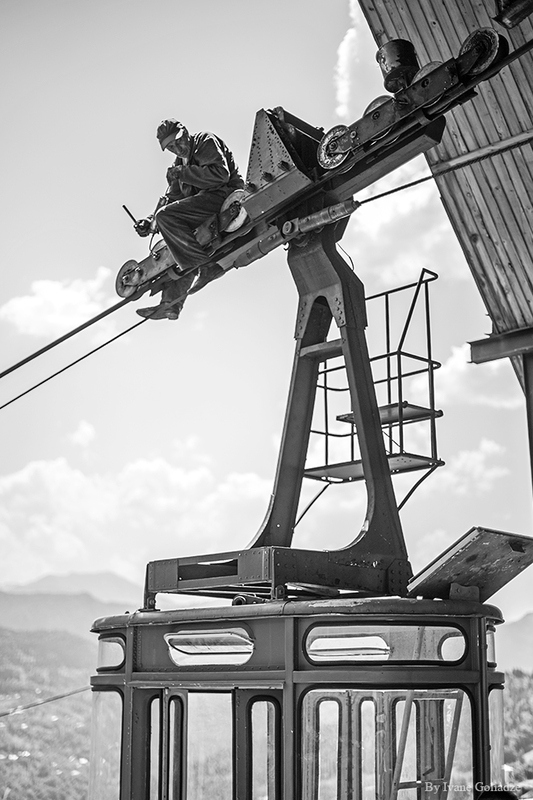 There were also many old chairlifts and some gondolas. About 10 years ago I had posted a quizz pic of a Russian chairlift but no one has ever found where it was. Around the same city there was also a former gondola station with a roof which looked somewhat like a whale. Is that a hint? Ce message a été modifié par Velro - 23 juin 2017 - 12:24 . First three TPH's in Tbilisi. Ce message a été modifié par Siachoquero - 26 juin 2017 - 06:46 . TPH25 of Open Air Ethnographic Museum in Vake district, Tbilisi. The 580 meter long TPH's lower station is located by the entrance of the museum and it was meant for visitors to travel with a cable car and see the museum from above then travel down either with cablle car or by foot from the top station. Height difference between two stations is 180 meters. It had three supporting towers. Cable car was completed by 1991 and tested but never put in service with passengers due to difficult times in Georgia after independence and was eventually dismantled. Original look, standard Tbilisi Aviation Factory produced 25 person ovals used. Second supporting tower concrete foundation. Gare Aval, platform is dismantled. After 1988 renovation, TPH got new cabins produced by Lovisolo and delivered by Ceretti § Tanfani, each for 40 persons. Also new towers first tower 25 meters high and second one 20 meters high instead of old three towers with 20 meters heigh first tower, the second one 10 meters high and the third one 12 meters high. The cabins were the main reason for the deadly accident only after 2 years of operation in 1990. Ce message a été modifié par Siachoquero - 22 février 2018 - 14:41 . Ce message a été modifié par Siachoquero - 12 octobre 2017 - 10:29 . Are you sure that Alaverdi is abandoned ? In 2016, it was still working. I am not sure but it was closed for 9 month at least in 2016 and needed serious investments. I don't think it works. Ce message a été modifié par Siachoquero - 12 janvier 2018 - 00:16 .